According to local government sources, eight people were killed after a fight broke out between construction workers and villagers in Jinning County, located 60 km south of the provincial capital Kunming. 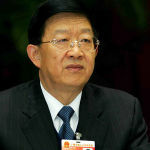 The county government reported the incident on its Sina Weibo account on October 15, a day after the fight occurred. According to sources, the incident happened at a construction site for the Jincheng Transasia Industrial Logistics Center in Fuyou Village. The fight broke out after a dispute over farm land used for the logistics center. Police reported that of the eight people killed, two were villagers and six were construction workers. However, local villagers interviewed by Caixin said that the so-called construction workers were actually an unknown group of people. 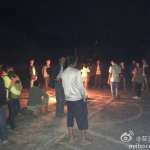 They reportedly attacked the villagers using knives and tear gas. The alleged attackders were clad in black and some carried shields that bore what looked to be police symbols. According to unconfirmed reports online, four of the unknown attackers were burned to death by the farmers. Police were called, but arrived after the fighting had stopped. Disputes over land requisition are a common theme in rural China and Southeast Asia, as industry expands outside previous city borders and into traditional farm land. In China, most of the thousands of protests and riots that happen annually are linked with disputes over land requisition. Oftentimes, compensation given to rural villagers is also an issue, as has been documented by ExSE in its series on hydropower development on the Yalong River. 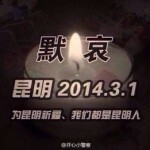 Jinggu Earthquake – 1 dead, 324 injured in Yunnan; are hydropower dams in danger?